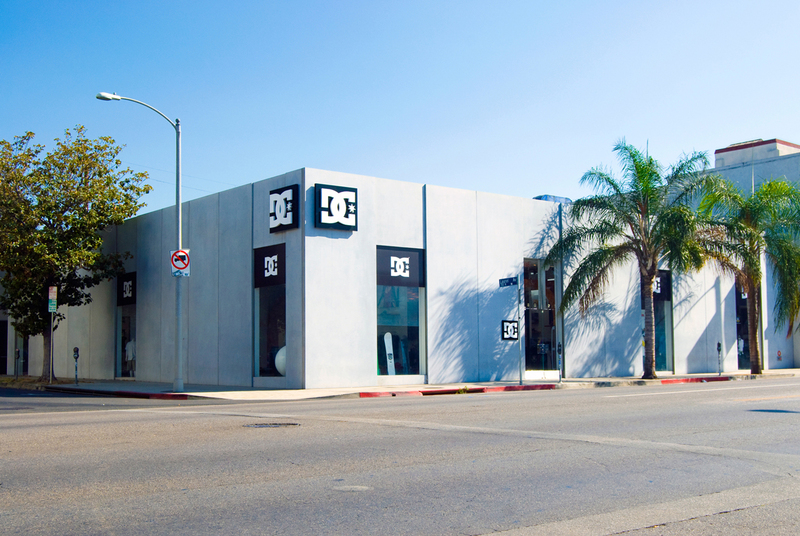 The DC Melrose Store is the second flagship location to open for DC Shoes. 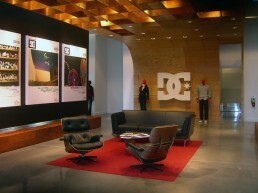 The store aims to provide a unique and upscale retail environment that stays true to DC’s motto “Born of street, born of skate.” Essentially, maintain the vibrant history of the skate brand while bringing it into its adulthood. 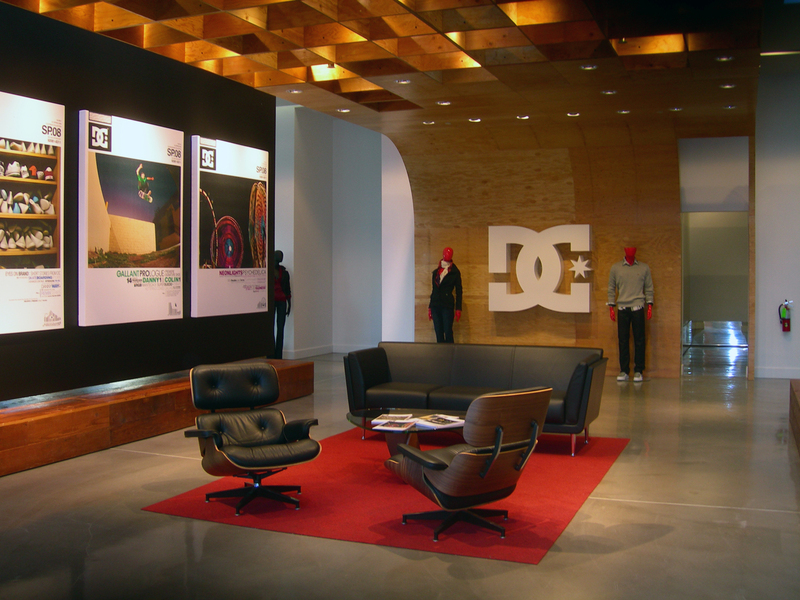 The client expressed an affinity toward a clean modern aesthetic, as well as a flexibility and material sensibility that stays true to skater aesthetic. 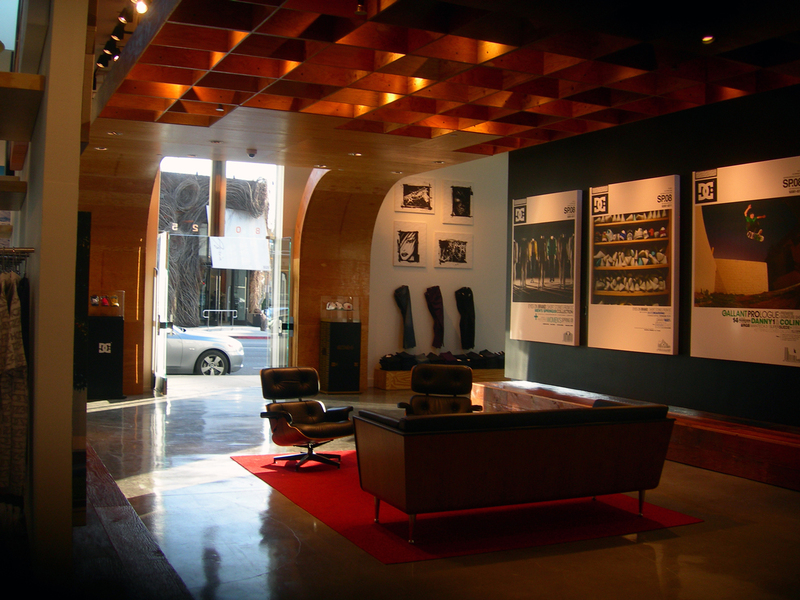 As a result, the store is composed of modular fixtures that are easily rearranged as needed. The storage subdivisions of the shoe display walls are opened or closed depending upon desired ambiance and the number of items on display. The shoe walls, housed on a track, are also capable of sliding into various positions allowing for flexibility within the overall store layout. The suspended plywood ceiling in the entrance bay resembles an inverted half-pipe. Its egg crate construction partially clad in order to abstractly represent a half-pipe’s smooth surface while exposing its structural components.